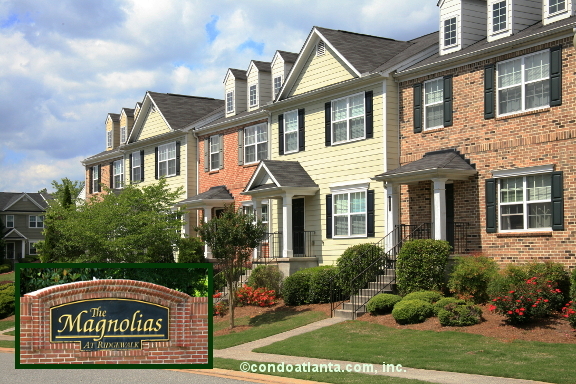 The Magnolias at Ridgewalk is a community of traditional townhomes in a beautifully landscaped development in Woodstock. Enjoy all the benefits of a home convenient to Historic Downtown Woodstock, Cherokee Recreation and Parks, and I-575. The Magnolias at Ridgewalk is also a short scenic drive to lovely views, water sports and recreation at Lake Allatoona.